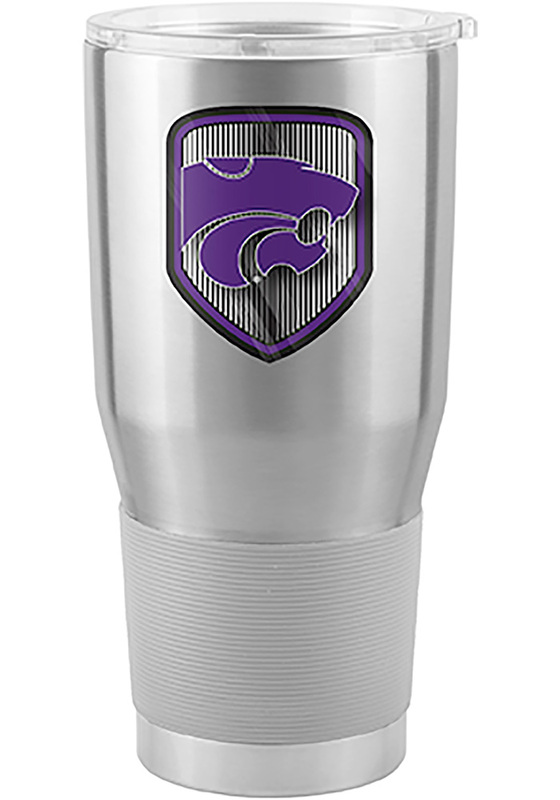 Take a sip and sport your K-State Wildcats Wildcats spirit with this K-State Wildcats Stainless Steel Tumbler. This Stainless Steel Tumbler features a team logo badge and a silicon grip sleeve. Fear The Cats! I bought this is a gift for Mother's day, and she loved it! Good size, and the purple is such a bold and bright purple. I would definitely buy again! I got this for my husband for Christmas and he loves it! He uses it every day and never has to refill will ice.